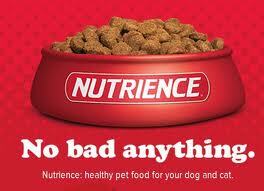 MONTREAL (March 28, 2012) – Nutrience and its parent company, Rolf C. Hagen Inc. (Hagen), are proud to announce over $14,000 worth of food will be donated to feed 125 dogs that were rescued recently from a commercial breeding operation in the Chaudière-Appalaches region, located south of Quebec City. The animals were seized and removed after multiple investigations indicated the dogs were not receiving proper care. The rescue operation, which was carried out by Humane Society International/Canada and the Quebec Department of Agriculture, Fisheries and Food (with the mandate of ANIMA Québec), is the second time these organizations have teamed up in recent history. Last year, HSI Canada assisted the Quebec government in the historic rescue of more than 500 dogs from Canada’s largest commercial breeding operation near Shawville, Quebec. Nutrience was also involved in that operation, donating over $35,000 in food and essential supplies that helped care for the dogs during a 3-month period. “It is a very rewarding feeling knowing that the 125 dogs rescued in this most recent seizure will now receive the love, attention and medical care they deserve. It’s even more gratifying to be able to play a part in nourishing them back to health by donating our food. Nutrience and the Hagen company remain committed to the “No Bad Anything” mission for pets, which continues to feed pets in need and educate the public about proper pet care and nutrition,” stated Warren House, Canadian Marketing Manager at Rolf C. Hagen Inc.
“Humane Society International/Canada thanks Nutrience and Rolf C. Hagen Inc. for their generous donation of dog food for our emergency sheltering operation. This important contribution will help put more than 120 rescued dogs and puppies on the road to recovery. This is the second time they have donated to HSI Canada’s efforts to stop puppy mills in Quebec and help give rescued dogs the second chance they deserve,” said Rebecca Aldworth, Executive Director of Humane Society International/Canada.